"Winning the [LIterary Classics] awards has been a wonderful and fruitful experience for me. 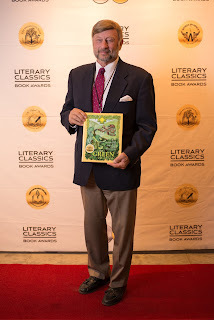 Some of the benefits since receiving the awards include the ability to place 'award-winning author' on the cover of my books along with the image of the medals, the ability to interact with other award-winning authors in my genre as well as other genres, and to get in touch with and eventually work with my very first editor, as well as noticeable increased sales. This came through a meet-and-greet we had at the awards celebration. I have since teamed up with another author I met at the event a few months ago and we will be attending a horse expo together in Denver. 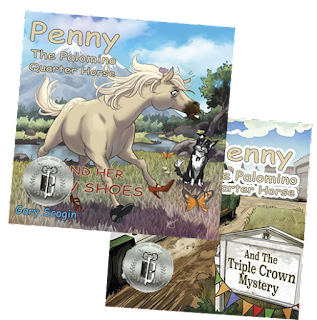 She writes middle-grade fiction about horses and I write children's books about a quarter horse. This is a perfect partnership that would not have happened if it weren't for the awards and the meet and greet. I see us working together on many future endeavors. I would say to anyone on the fence about submitting their book that it is a great opportunity for you as an author and you never know what will come by putting yourself out there (which can be difficult). I am forever grateful for Literary Classics and the wonderful people that work there. "